That botanical solutions for health are big is no question. But why are they taking so long to get traction among consumers? The Chinese have a botanicals-for-health culture that was advanced 5,000 years ago. Europe's Otzi the Ice Man was carrying a packet of curative plants when he froze in a crevasse equally long ago. And scores of millennia earlier, cave people in the Middle East were known to use local plant products for medicinal purposes. So why, until recently, were botanical applications for ailments or better performance relegated to the healthcare industry fringe, fated to be advertised by smiling suburbanites on late-night TV here in the U.S.? "Concepts such as natural solutions instead of pharmaceutical ones were always bigger in Asia and Europe than the U.S.," purports Laurent Leduc, vice president of health for Frutarom North America (www.frutarom.com), North Bergen, N.J. "I think this is because Americans are more inclined toward thinking in terms of instant gratification. "Yet with natural solutions the effects can take several weeks to happen," he continues. "I think this is why botanicals for health are so perfectly suited to food and beverage applications, things consumers don't mind adding as part of a daily, long-term regimen." The trope of aging baby boomers driving the functional foods trend gets verification when we see the types of health issues spotlighted in the sudden American interest in botanicals. Leduc points to the attention being paid so-called "nutracosmetic" ingredients, or cosmeceuticals, as an example of a coming sea change in how domestic consumers perceive what nature can offer. "Based on a passion for flavor and health that botanicals can satisfy, we're trying to help customers by developing products that are beneficial, taste great and in many instances carry a ‘beauty from within' capacity," Leduc explains. "That's just the beginning of what botanicals can do; there are topics that don't usually get covered that can bring consumers to botanical solutions more readily," he adds. Frutarom has been a leader in sometimes veering off the usual nutraceutical path of heart health and cancer protection in favor of more atypical issues. One example is its Go Less (www.go-less.com) bladder health supplement, made from pumpkin seed EFLA and soy germ isoflavones. The EFLA targets anabolic receptors and helps strengthen the weakened pelvic floor muscles and stuctures of the urinary tract associated with incontinence. Meanwhile the soy isoflavones help mitigate incontinence associated with decreased production of estrogen in post-menopausal women and resulting from benign enlarged prostate in men. Hair loss, too, landed on Frutarom's radar, leading to the development of its LinumLife Extra, a purified extract designed to counter thinning of hair in men and women. Based on lignin compounds called secoisolariciresinol and derived from flax, LinumLife Extra has proven effective in controlled studies. Another innovative use of botanicals for health: oral probiotics for immunity and oral hygiene. Frutarom developed its Bliss K12 ingredient as the world's first oral probiotic. Studies demonstrate Bliss K12 can neutralize the oral bacteria that produce halitosis, sore throats, ear infections and, in some cases, colds and flu. Until Bliss K12, probiotic benefits were thought of for their digestive health benefits. But by creating a natural defense against immune imbalance orally, the benefit extends throughout the rest of the digestive system. "Bliss K12 is about to attain GRAS status which will open the door for food applications," Leduc notes. "With GRAS status, we expect more products — for example, yogurts and ice cream — to feature BLIS probiotics." That other "Baby Boomer" scourge, stress, is becoming addressed as an offshoot of the energy boom. "Some stress is good for us; it makes us accomplish goals. It can drive us to achieve a sales quota, write a report and more," says Cecilia McCollum, executive vice president of ingredient manufacturer Blue California (www.bluecal-ingredients.com), Rancho Santa Margarita, Calif. "Too much stress, however, can affect our health. It can make us overeat, sleep poorly and may disrupt our relationships and endanger our lives when we drink, use drugs or do other harmful things in our attempts to reduce or cope with stress." McCollum recognizes the tremendous value in finding a botanical ingredient that could effectively reduce stress safely and without harmful side effects. "L-theanine, an amino acid from green tea, demonstrates the qualities of such an ingredient," she says. "It increases the production of alpha waves in the brain, responsible for inducing a relaxed state of mind, without drowsiness. L-theanine produces a mild relaxing effect, it calms you, relaxes you and can help you concentrate and focus on a task, thus, it can in fact make you more productive." Blue California uses a proprietary manufacturing method to produce L-TeaActive, an L-theanine that is suitable for food and beverage applications. "Reducing stress can help our immune system, can help us sleep better and improve our sense of well-being," she says. "Clinical studies have shown that 250 mg of L-theanine per day can effectively reduce stress. Even amounts as low as 100 mg/day can be sufficient to put you in a path to better health." The FDA granted GRAS status to L-Teactive last year, so it now can be used in many food product applications, including beverages and even confectioneries. "Imagine delicious chocolates that can help you relax!" she says. Blue California provides an extensive catalogue of naturally derived botanical extracts that address other stress-related needs, such as inducing sleep, improving mood and, of course, providing energy for the dual-end candle burning that creates the stress in the first place. In considering naturally derived health, another advantage is that botanical ingredients can offer more than single-compound enhancement. 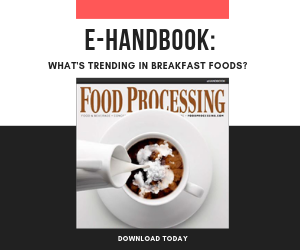 The past few years have shown that "whole-fruit" ingredients, such as açai and goji, are a huge attraction to consumers tuned into getting their nutritional extras from nature. And by being inclusive of the whole source, they can offer a shopping cart of functionality. With this door wide open, there always is room for the next exotic fruit concentrate or powder to become a hit trend. Baobab fruit is a newly arrived example worth noting. The African fruit is noted for high levels of vitamins A and C, calcium, potassium, magnesium and zinc. These ingredients have a plethora of research backing beauty from within, immunity and health. The A and C and the magnesium lend collagen structure enhancement and cell lipid support, while the zinc acts as a key component of the immune system. The calcium and potassium promote cardiovascular and blood pressure health in addition to building bones and teeth. Powerful antioxidants round out the immunity and health-protective effects of baobab, with high fiber content adding digestive health and increased satiety to help counter inflammation and obesity. BI Nutraceuticals Inc. (www.botanicals.com), Long Beach, Calif., launched its baobab fruit powder as a superfruit ingredient for multiple applications, including smoothies, fruit juices and powdered drinks; breakfast cereals and cereal bars; and ice creams, yogurts and dairy products. And speaking of whole fruit sources of botanical health benefits, it's not always about the exotics. Those simple and common fruits and veggies mom always told us were good for us are, well, good for us. "Oranges are the new superfruit," claims David Hart, business development and marketing manager for Herbamed (www.herbamed.com), based in Rehovot, Israel. "Herbamed has developed a series of nutritional health bars based on its unique citrus ingredient, naturally rich in flavonoids and dietary fibers. The nutrition bar has been clinically proven to have a positive effect on blood lipid profile and improve the cardiovascular system in general." Noting the seeming barrier between pharmaceuticals and functional botanicals, Hart adds, "Studies consistently demonstrate that health-conscious consumers prefer to enjoy nutraceuticals in food and beverages rather than in pills or capsules." Although American consumers are playing catch-up to the rest of the world when it comes to "thinking naturally" for preventive and palliative health, the perception has been that botanicals somehow have a less than scientific track record. It should be noted that by some estimates more than 92 percent of pharmaceuticals are based on naturally occurring chemical compounds. Plant derivatives and extracts commonly undergo rigid testing in clinical laboratories under strict controls. And what is tested is key. "We see that most published clinical trials involving botanical ingredients rely on the active marker compound and attribute the health benefit based on the standardization," says Steve Light, business development manager for Amax NutraSource Inc. (www.amaxnutrasource.com), Eugene, Ore. "We aren't just dealing with powders where the raw botanical material has been ground up — this [level of testing] is a benefit to our industry for ongoing reliability." Amax NutraSource validates the potency and purity of its standardized botanicals, providing consistency for customers and the labeling those customers must provide on finished product. "Consumers are becoming increasingly aware of what to look for in supplements, foods and beverages," continues Light. "They aren't just looking for ‘green tea for antioxidant/immunity,' they are looking for the pure and active polyphenols that the green tea provides. This will only continue as consumers continue to educate themselves."